He adds ‘from these Figures are derived all the others that are made use of in these Dances’. Gherardi’s list is not the same as Gallini’s, although there is considerable overlap. He chooses to explain only five of these figures: Les Pirouettes, Les Carrés, Les Courses, Les Poussettes and Les Chassés – ‘those which hitherto have not been properly explained’ (presumably also the ones that, in his opinion, ‘seem the most difficult’). He also describes a pirouette in an over-crossed fifth position, and the use of a ‘Chassé en tournant’. Gherardi uses diagrams to help explain some of these basic figures. He says, waspishly, of the Petit Carré à quatre Personnes that ‘This Figure is by some, very wrongly termed Back to Back, but it is not the same as Back to Back’. Gherardi, A Second Book of Cotillons. London, [1768? ], p. 4. 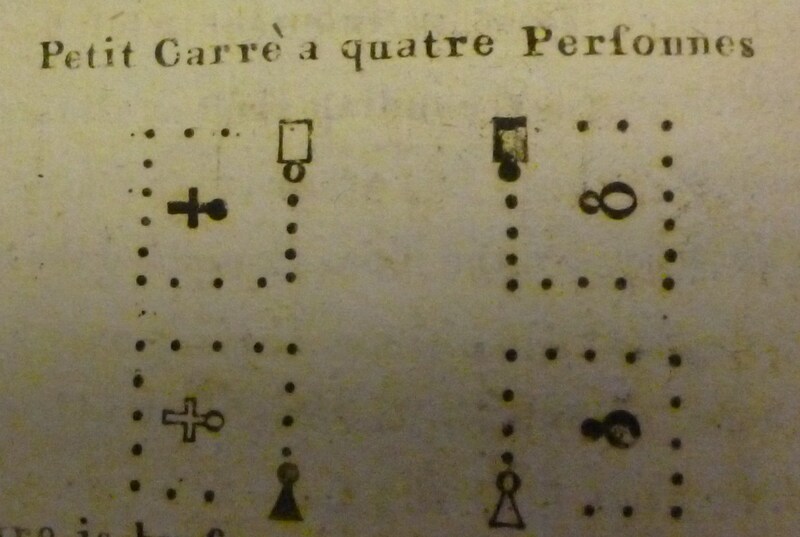 As the diagram shows, the four dancers (two men and two women) who perform the Petit Carré dance around the other four, who stand still. When he turns to Les Courses, Gherardi again hints at some of the squabbles between rival dancing masters. 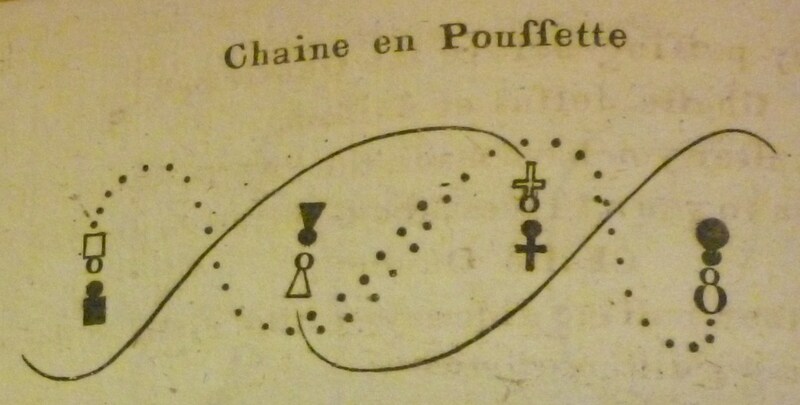 Gherardi elaborates on Gallini’s simple Poussette, with a Poussette en tournant and a Chaine en Poussette. Gherardi, A Second Book of Cotillons. London, [1768? ], p. 9. Gherardi, A Second Book of Cotillons. London, [1768? ], p. 10. Similarly, where Gallini only describes how to perform the chassé step, Gherardi explains a series of Chassé figures which make use of it. He has Chassé Simple, Chassé dessus et dessous, Chassé ouvert and a Chassé double which ‘Is a Chassè with the lady: if towards the right, the Lady leads, if towards the left, the Gentleman; having hold of hands’. He finishes the introduction to his second collection with a lengthy advertisement for his Cotillon Academy. This entry was posted in Country Dancing, Steps & Figures, The Cotillon and tagged Baroque Dance, Cotillion, Giovanni Battista Gherardi on January 22, 2015 by moiragoff. We’ve been trying to understand what traveling steps were used in cotillions as danced in England and America in the late 1700s. Buckingham in 1808 Boston says that the only steps used in dancing cotillions are “contretems forward, contretems backward, ballance, rigadoon, chasse upon the right, chasse upon the left, double chasse on the right, double chasse upon the left”. Do any of the chasses described by Gherardi correspond to the chasse forward described by Kellom Tomlinson in 1724? 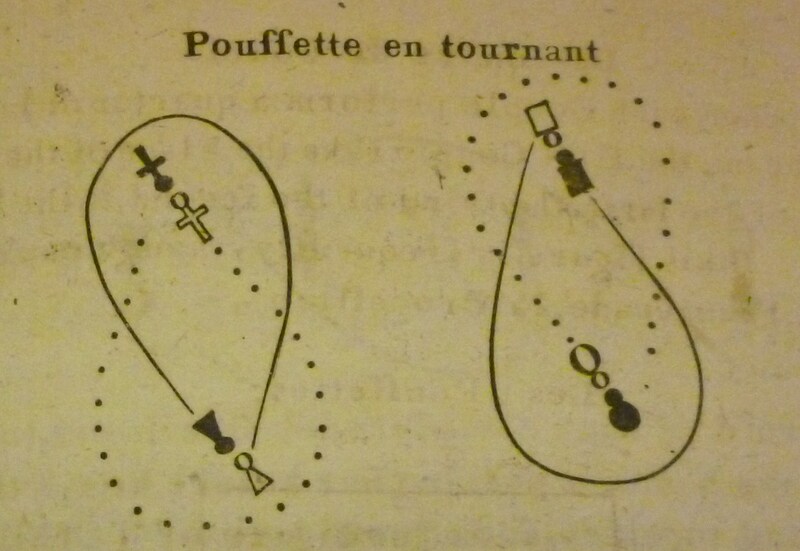 In late 18th-century France the step used for travelling forwards in cotillons was the demi-contretems. I’ve just done a blog post on it. It seems not to get mentioned by several of the dancing masters who write about the cotillon and create their own dances, I don’t know why. Sideways travelling prbably used a sequence of chasse steps performed as in Tomlinson’s chapter XXII (p.72). As for the other steps, I think we just have to assume that they would have been performed in much the same way as set down in the early 18th-century dance manuals -perhaps with an eye to the early 19th-century manuals and the steps they describe. I don’t know whether this might help.